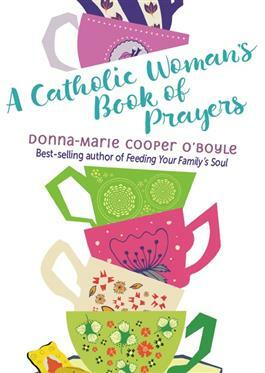 As an award-winning author, host of EWTN’s “Everyday Blessings for Catholic Moms,” and mother of five, Donna-Marie Cooper O’Boyle is well aware of the difficulties women face today as they balance all their responsibilities and struggle to find time for prayer. She is currently filming a new series for EWTN based on her previously released title Feeding Your Family’s Soul. This book will affirm women on their journey while celebrating the strength, dignity, and specific gifts of women in the context of the faith. Donna-Marie offers words of encouragement for women who are single, married, consecrated women, and single mothers, while straightforwardly addressing specific difficulties in women’s lives, with prayers for stress, complicated pregnancies, and walking through divorce. Words from St. John Paul II, saints and mystics enrich the text with inspiration. Through this book, women will know that they are deeply loved by Christ, that He understands their lives, and that they share this journey with their sisters.